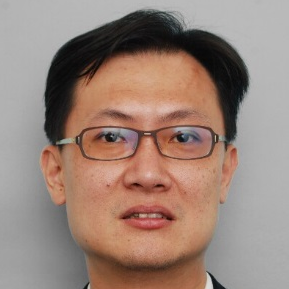 CF Wong [CIMA member since Year 2006] is currently the Financial Controller / Head of Finance for GP Electronics (HK) Limited, a wholly owned subsidiary of GP Industries Limited, a company listed on the Mainboard of the Singapore Exchange Securities Trading Limited. CF is the overall Project Leader for successfully implementing IBM Cognos Controller software for GP Industries Limited group of 70 subsidiaries. CF is a key member of the executive management committee for GP Industries Ltd, Electronics Division. Prior to this, CF was in other senior positions including Head of Finance in multinational and listed companies, where he led cross-cultural teams that spanned from the United Kingdom, Germany, Italy, USA, China, Hong Kong and Singapore. He also previously worked in Big Four international auditing firms. CF’s over 20 years of extensive experience covers stakeholder engagements, business partnering, strategic planning and evaluation, mergers & acquisition, financial & treasury FX management, tax strategy, audit, consolidation, financial and management reporting. He also has considerable experience in setting up / winding down operations, implementation of internal control systems, automation to increase operational efficiency and reduce listed Company month-end reporting timeline. CF holds an Executive MBA from the Kellogg-HKUST and is a Bachelor (Honors) of Accountancy graduate from Nanyang Technological University, Singapore. He has also attended the Financial Talent (F-TEN) Leadership Executive programme jointly organized by Singapore Management University and Institute of Chartered Accountants in England and Wales (ICAEW). CF has been a regular speaker / panellists at various public seminars like IBM finance forum, HKICPA IT conference, International CPA firm UHY management conference in China and Vietnam, Ernst & Young Revenue Optimization forum. In his free time, CF volunteer as a scout leader for HK Scout association, 192nd Kowloon troop and is an avid reader. Check out the incredible speaker line-up to see who will be joining CF.